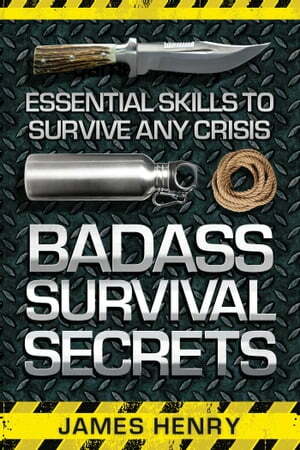 Collins Booksellers - Badass Survival Secrets by James Henry, 9781629148649. Buy this book online. History is filled with incredible stories of the mountain men, experts in survival who relied on nothing except their own skills and ingenuity. If you want to learn to be one of them, then this is the book for you. Badass Survival Secrets will introduce you to everything that you need to be a modern day mountain man. You’ll learn how to construct shelter, build fires, how to track and hunt your food, how to find clean water, and how to stay warm in brutal climates. Everything that you need to become a badass survivalist expert is in this book. And many more useful skills!